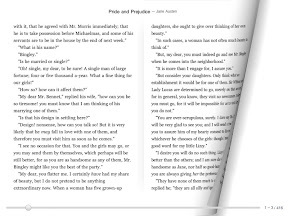 Google Books just updated its iOS app with search and a good-looking landscape reading mode with page-turning for iPads. The Google Books app isn't as good as Amazon's Kindle app, Apple's iBooks, or Barnes and Noble's Nook app. 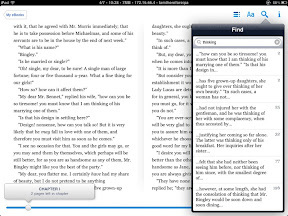 It is the only ebook Reader in the bunch that require an Internet connection to read any of its books. It would need to change this before it can make any serious threats to the competition, but it's gaining some ground. Google's excellent CRM technology (scans images for words to index) feature is now fully usable in old books and scans that aren't available anywhere else. Simply tap the magnifying glass while you're reading and you are able to see a list of places where a specific word exists in a book or manuscript. 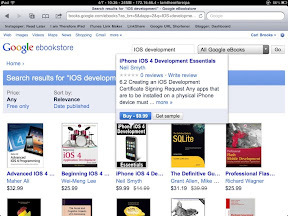 Also, the updated app offers a much cleaner Google Bookstore interface for purchasing books through your iPad. But these changes do not include purchases through the App Store, but rather through the Internet via the Google Books App. 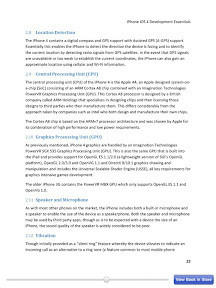 I am not sure that this adheres to the requirements Apple placed on its publishing partners or whether those requirements apply for that matter. The language seems to only apply to subscription based content, but that could change to include ebooks. 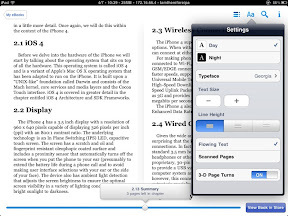 The Scanned Pages mode allows the book to be viewed as it would in the format that the original printed text would be. 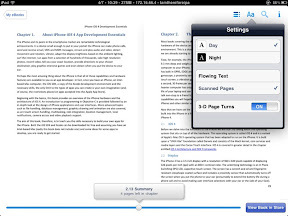 The Flowing Text mode changes the format and offers more options for readability, like font size, typeface, etc. Download the new app here on the desktop, or update your device using the App Store on the iPad.